Amazon.com description: Product Description: The purpose of all architecture, writes Christopher Alexander, is to encourage and support life-giving activity, dreams, and playfulness. But in recent decades, while our buildings are technically better--more sturdy, more waterproof, more energy efficient-- they have also became progressively more sterile, rarely providing the kind of environment in which people are emotionally nourished, genuinely happy, and deeply contented. Using the example of his building of the Eishin Campus in Japan, Christopher Alexander and his collaborators reveal an ongoing dispute between two fundamentally different ways of shaping our world. One system places emphasis on subtleties, on finesse, on the structure of adaptation that makes each tiny part fit into the larger context. The other system is concerned with efficiency, with money, power and control, stressing the more gross aspects of size, speed, and profit. 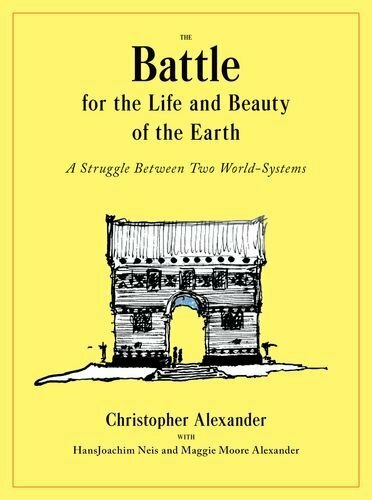 This second, "business-as-usual" system, Alexander argues, is incapable of creating the kind of environment that is able to genuinely support the emotional, whole-making side of human life. To confront this sterile system, the book presents a new architecture that we--both as a world-wide civilization, and as individual people and cultures--can create, using new processes that allow us to build places of human energy and beauty. The book outlines nine ways of working, each one fully dedicated to wholeness, and able to support day-to-day activities that will make planning, design and construction possible in an entirely new way, and in more humane ways. An innovative thinker about building techniques and planning, Christopher Alexander has attracted a devoted following. Here he introduces a way of building that includes the best current practices, enriched by a range of new processes that support the houses, communities, and health of all who inhabit the Earth. About: The purpose of all architecture, writes Christopher Alexander, is to encourage and support life-giving activity, dreams, and playfulness.